I began my medical career in 2002 at Henry Ford Hospital in the department of Academic Internal Medicine, where I became one of the associate program directors of the residency training program from 2012-2017. I moved my medical practice in 2018 to the Henry Ford Medical Center - Sterling Heights. I strive to deliver quality, comprehensive, evidence-based medical care for adult patients that includes routine physicals, acute complaints, preventive medicine and chronic disease management. 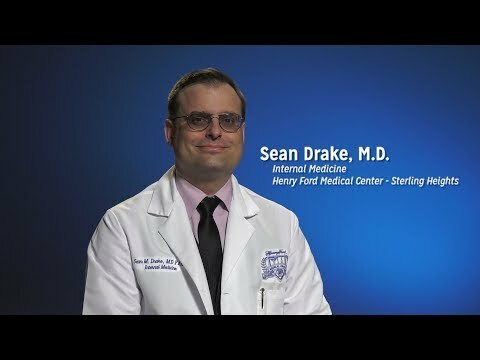 Meet Henry Ford Internal Medicine, Sean Drake, M.D.